Joseph was the oldest of 10 children in his mother’s house. His father had two houses with two wives. The other wife had 12 children. Because of the number of children his father had to support, they were very poor. Education was a big challenge. Joseph stayed in school and finished high school when he was 18 years old. These were not easy times for him. To earn a little money he would go out at night with his friends, chop trees down and make charcoal. While the government is against charcoal manufacturing in this way, it is a common practice and many of the poorest of the poor make the little money they have in this way. While here in Maasai land, we have cooked our meals, boiled water for hot drinks and dishwater, on top of pots filled with smouldering charcoal. It is the primary way to create an indoor heat source for cooking. After struggling for a couple years after high school, Joseph decided to go to Nairobi to help people. A politician he had met in town one day had told him, “You come to Nairobi with 1000 shillings and I will give you a job.” Joseph was hoping that once he was in the city he would be able to help destitute people. During the night a street patrol of two police came past and through Joseph was a loitering homeless person. They did not believe his story and handcuffed him. They were going to take him to jail for the night. Joseph begged them and told his story with such passion they believed him, unruffled him and let him stay. “This was my first time ever in a nice hotel.” Joseph said, “It was so nice!” At 4am Joseph rose. The guard who was also the night manager came and removed the sheets and prepared the room. That day Joseph looked for a job. He knew that Indian men ran the biggest shops, so he went looking for Indian run shops and asked for a job. In the fifth shop, a lady was running the shop. She wanted to hire him but when the husband return, he tried to scare Joseph away by telling him it was very hard work. They decided to employ him as an industrial worker. 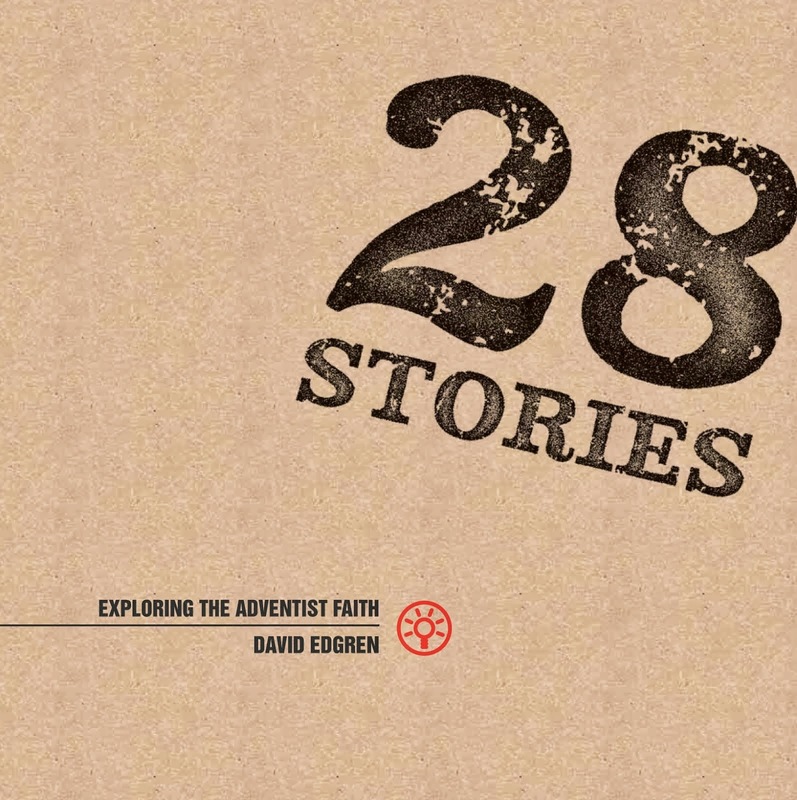 Although Joseph had a job, he had no place to sleep, no money and no pay for one month. They fed the workers one meal a day of beans and maise. To make enough money to survive, he and other factory workers would use their time off to sit in a “Matatu” - a bus with 14 seats - and make it look half full. This would get other people to believe the bus would leave soon. As the bus would fill, Joseph and his friends would get out one by one to make room. The Matatu driver would slyly give them 10 shillings as they exited. In this way, once he had 30 shillings he would buy soap, roasted maise (corn cob) or Irish potatoes to eat. Then he would go to the river, wash himself and his clothes with the soap. Then go back to work. 2. Go to tax department and get in the queue. When time came to sign, he would call the boss. 3. Go to the post office or airport and collect the mail or post things that needed to be sent. Joseph was also given a storeroom in the man’s factory in which to sleep. After doing these three things each day for a number of weeks, He met a Maasai man in the tax department. The man asked Joseph why he was in the line every day. He explained he was an agent waiting in line. The other Maasai man said not to wait in line. “From now on,” he said, “come straight to me and I will do the papers.” The Maasai man was one of the primary tax agents. Joseph could now afford his own small bedroom in which to live. One day, on an airport run, Joseph saw a Muzungu woman crying. He asked her what was wrong. 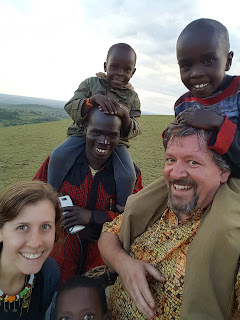 She said, “I’m absolutely finished.” The husband came over and explained they had come to Africa as missionaries to drill bore holes to provide water for tribes. They had been waiting for two weeks for the expensive drilling machine to pass customs. They had decided the machines had stolen. It is not unusual for imports to be stollen and sold when they come into the country. When they reached the minister, he asked Joseph to come in alone, with the customs papers. Once Joseph had explained the situation to the minister, things happened quickly. He picked up his phone and called the principal immigration officer to come to his office immediately. 1. “Who is the minster of immigration? If you think you are the minister, I will resign right now!” The other man was terrified and sweating. “2. If I am the minister, I need these things right now.” Then he handed the officer the import papers. As they drove toward the airport, the driver took them to the VIP section of the airport. When they got to the desk, everything was there. The immigration officer had also pulled out all the stops to ensure he kept his job. 1. No custom duty was charged. 2. No Value Added Tax for further purchases. This meant anything these missionaries purchased, during their entire stay there would be no government tax charged. 3. Governmental transportation for both the missionaries and the bore drill was given to any location they wished to go. At the hotel, the Mzungu missionaries asked Joseph what they could do for him in return. “I stood by my principals,” Joseph said. We went together to macmillion publishing in Nairobi. They explained they were missionaries from America and wanted to buy school books for children in Kenya. That couple purchased 700,000 shillings worth of books and delivered them to the minister in seven Nissan minibuses filled with books. The minister was so happy. He wanted to give them a present. They explained he had already given them back their ministry in Kenya. “This Adventist couple have become friends to me.” Joseph said, “My focus is to help children. Theirs was to give water to the people. They have put water access many places, even here in Kapune. They also helped me form a constitution for my organisation from Isaiah 1:17 to help children. This time, Joseph called the minster directly and he acted quickly sorting everything out in less than an hour. 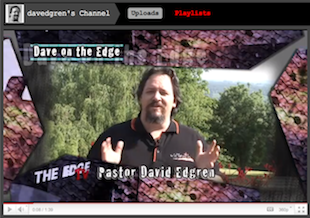 Three years later, a satellite evangelism program (being broadcast from South Africa) was held at the church. 37 Maasai were baptised as a result of the two week program. Joseph continued working in Nairobi for another year, until he had earned enough money to come home, buy land and start his his work as a rescuer of children.